It’s 2019, and 5G rollouts have already begun with initial support expected for many major markets by the end of the year. Carriers are already battling over whose network is faster and vying for attention in both enterprise and consumer sectors. Around the world, the first 5G NR supported phones have been announced by the major players and will soon be available to consumers—though true 5G network support is still months away for early rollout areas, and several years away for most. While there are still questions about 5G—what is certain is that it will deliver significant speed and latency improvements over existing 4G LTE connections. It will also have a major impact on device growth and behaviors, network traffic, costs, and more. Before we jump into the major impacts—let’s take a brief look at what the 5G offers in terms of performance. 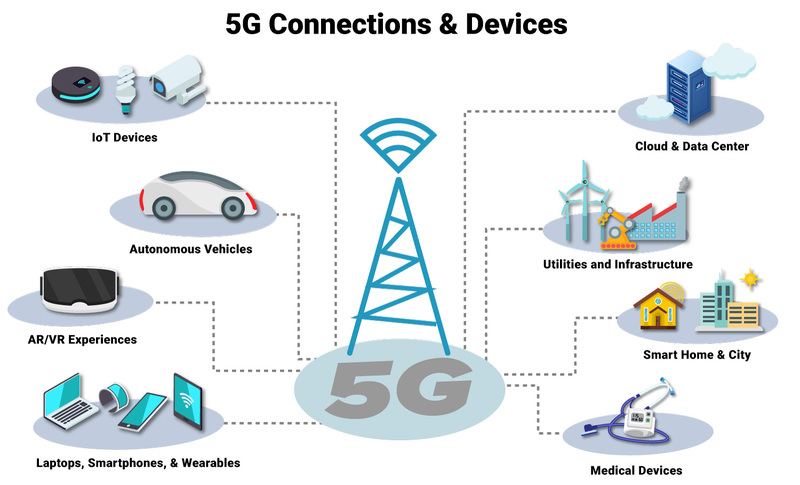 5G stands for the “fifth-generation” of wireless technology, with technical requirements outlined in the official 3GPP specification (Release 15). It will offer faster downloads, better network reliability, and other benefits that will empower businesses as well as support new possibilities for devices and digital services. Major carriers and network providers say that 5G has the potential to completely transform entire industries—offering data speeds and reliability that far surpass our existing 4G networks. To achieve all of these lofty goals, 5G wireless networks will leverage a host of new technologies. MIMO (Multiple input, multiple output), beamforming and millimeter wave (mmWave) technology will empower radios to deliver reliable, high-speed signals with ultra low latency. Network Function Virtualization (NFV) and Software-defined networking (SD-WAN) will enable increased control, efficiency, and monitoring capabilities for managing and improving network performance. New concepts like network slicing allow multiple logical networks to be managed on top of a shared physical network infrastructure. Network slicing will provide businesses with the capability to use and optimize individual “slices” of a network to support a specific application or service. In this way, one network slice could be optimized to provide robust and reliable connectivity for a large number of devices, each having very small throughput (i.e. simple IoT devices). Another network slice could be optimized and dedicated to providing high reliability for a smaller number of devices (i.e. medical devices). A third network slice may be optimized entirely for data throughput and achieving the highest speeds possible. With all of these new advancements, 5G wide-area networks will support speeds up to a theoretical maximum of 40 Gbps (that’s Gbps not Mbps) by utilizing much larger data bands in higher frequency ranges (24–86 GHz). Remember, existing 4G data bands are all below 6 GHz. Real-world high-frequency 5G speeds are expected to deliver download speeds between 10–20 Gbps. Compared to the United States’ average 16.31 Mbps (Megabits) 4G LTE network speeds (late 2017 report)—that is an enormous increase. Additional 5G data bands below 6 GHz are expected to deliver more modest ~50% improvements over 4G network speeds. 5G will also bring a significant reduction in latency, down to as low as ~1 ms (the 5G spec outlines a maximum 4ms latency). Next-generation 5G networks promise to bring “hardwire” level latencies and reliability to wireless connections. With ultra-low latency—all of our internet interactions will feel faster. Responses to internet queries for webpages and apps will be reduced to a few milliseconds rather than the average ~70ms for 4G LTE connections (in the U.S.). With next to no latency, a growing number of devices will support near instantaneous communication—opening up new possibilities for our everyday gadgets as well as Internet of Things (IoT) devices, smart city infrastructure, medical devices, home automation, and much more. Some of the most exciting possibilities offered by ultra low latency (as well as higher data speeds) include highly immersive AR/VR experiences and constant communication for autonomous vehicles. Another major growth trend over the past few years has been the Internet of Things (IoT). IoT has been a major driver for the increasing number of internet-connected devices. The combined momentum of 5G and IoT will cause that number to accelerate even more rapidly in coming years. According to a 2017 Gartner report on IoT, we can expect 20 billion connected devices by 2020. Other estimates from Ericsson and IHS Markit put that number closer to 30 billion. It’s likely we’ll fall somewhere in between these estimates, but regardless, we can expect an increase in IoT devices, as well as an increase in devices with dedicated cellular connections. New forms of wearables and sensors will be introduced and embedded in a growing number of product categories. By the end of 2023, it’s estimated that there will be over 1 billion global 5G connections alone. This, in addition to 3.5 billion cellular IoT connections and over 6 billion 4G LTE connections—equates to over 10 billion global mobile connections. That means mobile connections represent one-third to one-half of all connected devices—depending on which estimate you rely on. That’s a significant trend and important as we consider how devices will connect and communicate with the web in the future. With 5G hitting the mainstream, let’s take a brief look at some of the costs associated with infrastructure and devices. From an infrastructure and investment standpoint, 5G will cost a lot. A study from Deloitte estimates that deployment of high speed 5G networks in the U.S. will require at least $130 billion (USD) in fiber investments alone. The study states that investments of that size “will likely need to come from a variety of sources, including communications service providers, financial investors, and public/private partnerships.” Alternatively, a Barclays report from 2016 estimated that providing nationwide 5G wireless for the United States would cost around $300 billion (USD). As discussed, 5G connections will deliver data at higher speeds and lower latency. But that will occur over two different frequency ranges, with one operating below 6 GHz (like existing 4G LTE frequencies) and the other over ultra high-frequencies, above 24 GHz. There are advantages and disadvantages to both. Lower frequencies, below 6 GHz can be broadcast over much greater distances thanks to longer wavelengths.The new high-throughput data bands for 5G networks (above 24 GHz)—while offering significantly higher bandwidth—have much shorter wavelengths which limit the distance those signals can be broadcast. To solve limitations in broadcast distance, carriers will implement Fixed Wireless Access devices throughout cities and neighborhoods in order to deliver 5G signals. These devices will need to be placed within 200—500 meters from a central network tower or hub. That means 5G will add A LOT of new devices to the network—and to overall infrastructure costs. However, compared to the costs of running cable or fiber “the last mile,” to residential homes and buildings—it will translate to significant savings, improved performance, and faster service rollout for service providers. In fact, in several cities within the U.S., carriers such as Verizon have already introduced fixed 5G wireless services that aim to undercut the reigning cable and fiber internet providers—and signaling that the mass migration to 5G has already begun. Adding to costs will be maintenance and support for existing 3G and 4G network equipment—which will remain in use for years to come. There’s also the costs associated with device hardware—both radio modem and antennae—which are required to support and enable 5G connections. Currently, the 4G LTE modems are integrated on the same chip as the processor. One of these processors for a high-end smartphone runs approximately $70 USD in 2018. 5G antennas are also more complicated—and expensive. The antennas for a leading 4G enabled smartphone typically cost around $20 USD in 2018. With 5G, businesses can expect significant increases in component costs, likely $40–$50 more per device. Customers may see device costs increase $200 to $300 more. As for service plans for mobile devices, consumers can expect a slight increase. Verizon has plans to add a $10 surcharge for 5G connections—at least during the early rollout phases, which will become available in Chicago and Minneapolis in April. AT&T has announced 5G service plans for $70 per month, but with 15GB data limit. Other wireless providers including T-Mobile have stated they won’t charge more for 5G plans. Separately, we can expect 5G mobile hotspots to emerge onto the market for several hundred dollars—until 5G becomes more widely available. Overall, we can anticipate that the initial 5G costs will be much higher than 4G—both in terms of hardware and service. Those increases will likely come down over time as the market matures and competition increases. Thanks to production refinements, efficiencies in manufacturing processes, and economies of scale—after several years, we can expect costs to settle around their current 4G levels. Consumers can expect more devices, faster connections, immersive experiences, and new digital services aimed at providing increased convenience. And all of these at an incremental cost. That all sounds great! Right? Sure… But 5G will also shine a spotlight on network security vulnerabilities, amplifying negative effects of malicious threats, phishing attacks, DDoS, and more. 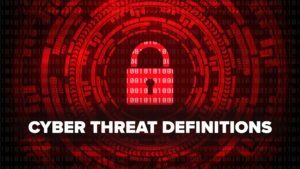 That burden will fall on carriers and network providers, who will need to place increased importance on security—both to avoid costly compromises, as well as prevent attacks from impacting the ability of end users to connect and use their services. Stay tuned for the next blog in our “Impacts of 5G” series as we explore what will happen with 3G and 4G networks during this long transition period—as well as what will be required to secure these next-generation networks.